Here at SuperSkills, we’re expecting to be busy this month – as people find out the CSCS Card they have been using to get on sites is suddenly no longer valid. Well, not particularly suddenly actually – the changes to the CSCS Card Scheme that will come into effect at the end of September were first announced in 2015. But we know what it’s like – you have a trade that you’ve been in for years and you have built up all the skills you need. You have yet to come across a Site Agent who doesn’t think you can do the job. You work hard. And someone who hasn’t the ability to do what you do every single day comes up with a scheme that means you have to have a qualification to do it. Over the years, you’ve had a variety of CSCS Cards. You held a Green one that said “Construction Site Operative” for ages. Then, a couple of years ago, you couldn’t get another one. That had become a “Site Labourer” card. You would have to go on a course about Health & Safety to get it. But you’re not a Labourer and certainly didn’t want to be paid Labourer’s rates. So you got the card one of your mates told you about. “Construction Related Occupations”. Take the Health & Safety test, get the card, back to work. Job’s a good ‘un. You and three hundred thousand other people. That’s what happened. The reason for the change is that CSCS discovered first how the Green CSCS Cards accounted for about 80% of construction workers. Obviously something was wrong. So they withdrew that card and changed it. And the same thing happened again. This time with the Grey Card. And that figure of 300,000 is true. So it had to go as well. 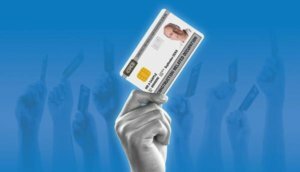 To be a Bricklayer, Carpenter, Dry Liner, Painter, Plasterer or Tiler on site, (many other trades as well – but those are the ones we provide for) you need a Blue CSCS “Skilled Worker” Card. When you apply for it, you will need to have the right National Vocational Qualification. And that’s where SuperSkills will help. The CITB knows a tremendous number of people are working quite satisfactorily in construction trades, but they have never gained the qualification for their occupation. So they created a “Fast Track” – the Experienced Worker Practical Assessment which enables people with at least five year’s experience to get their NVQ quickly, simply and conveniently. You can see our handy guide here. The assessment takes a day and is supported by evidence gained from tradespeople you have worked with or for, to demonstrate your skills in the workplace. SuperSkills has specialised in these assessments for ten years and has become the UK’s leading provider of them. At the end of the assessment, you will obtain the NVQ and will be able to get the right CSCS Card. You will not need to take the CSCS Health & Safety Test – because H&S is included in the qualification – and just apply for your new card. And then the job really will be a “Good ‘un”. See more details about NVQ via Experienced Worker Practical Assessment below or call 01845 527445 for FREE Advice. Alternatively, fill in the form on our Contact page and we will contact you.